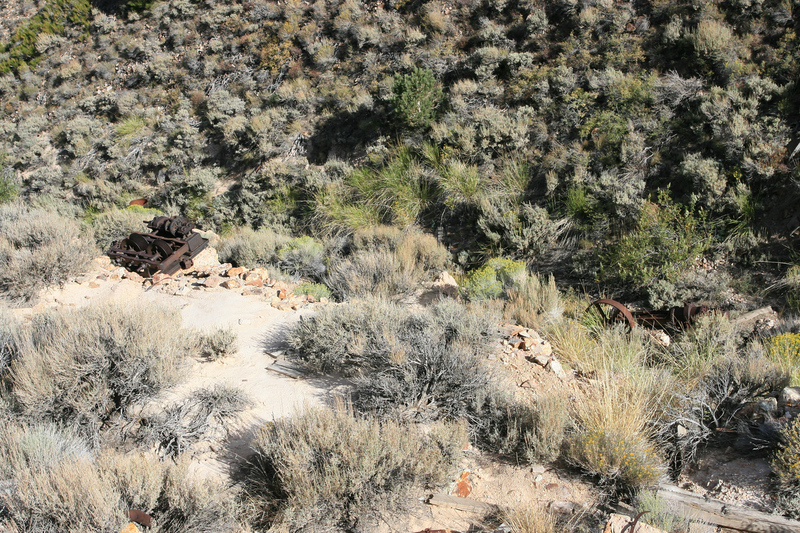 In 2006, we took a side trip to check out the remains of a hidden 10 stamp and cyanide mill. 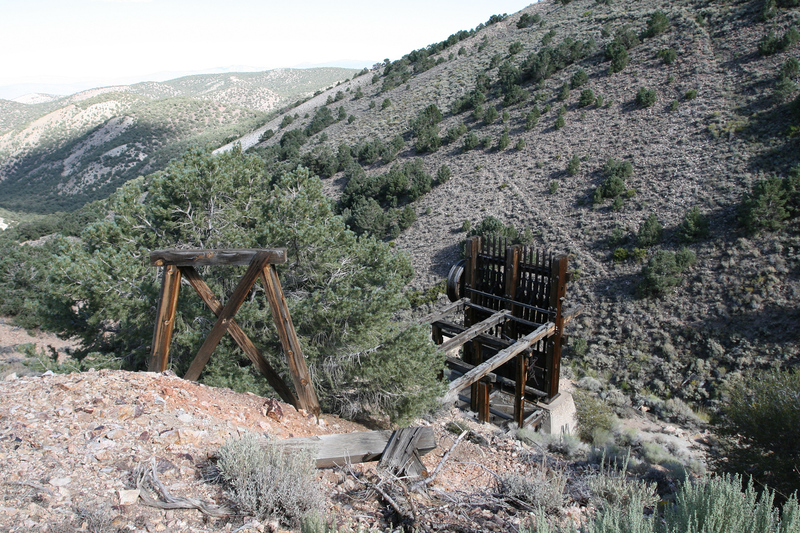 The mine and mill were worked around 1915. 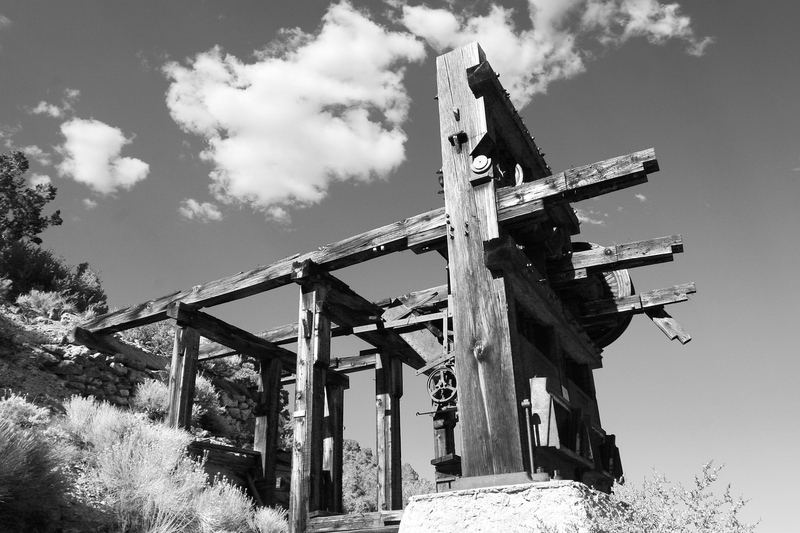 There isn’t that much left of the mill even though it is in a remote location. 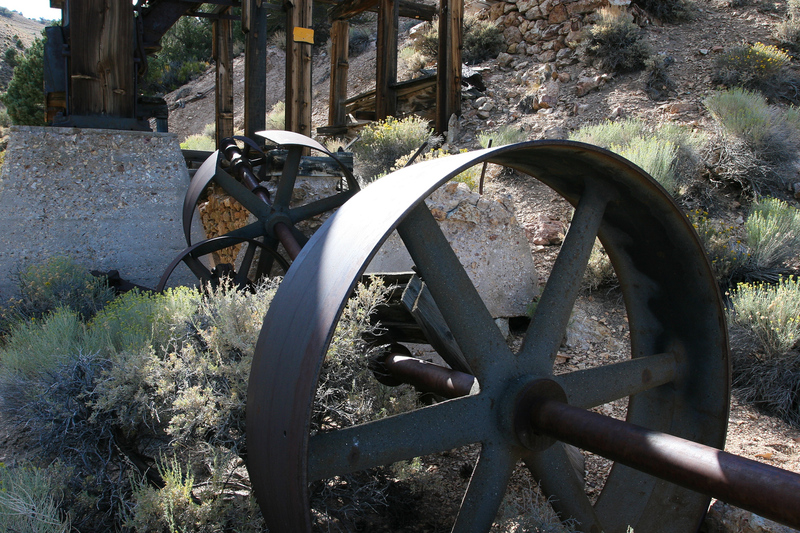 After roaming around, we finally spot the stamp mill. 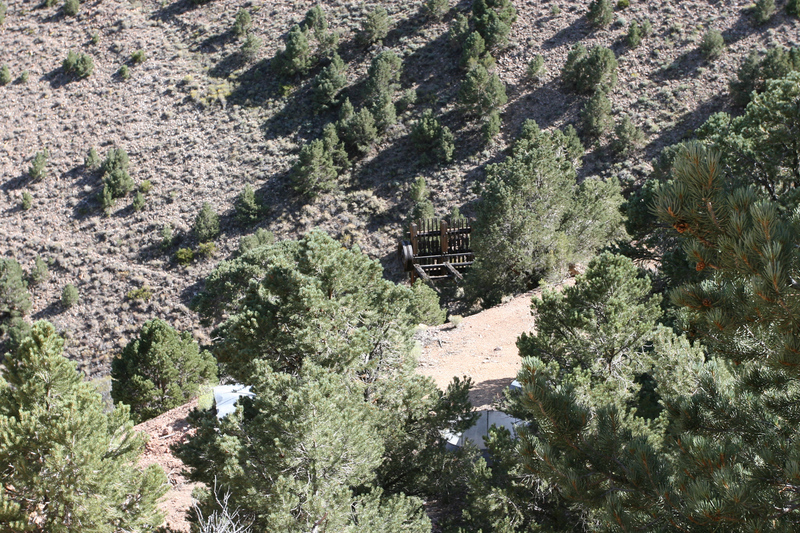 Hiking down close to it. 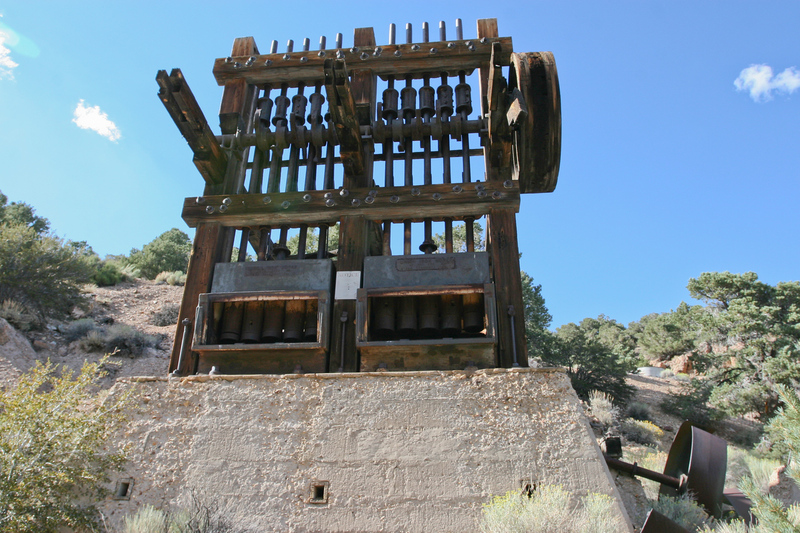 10 stamp mill. Rare to see all the stamps in place. 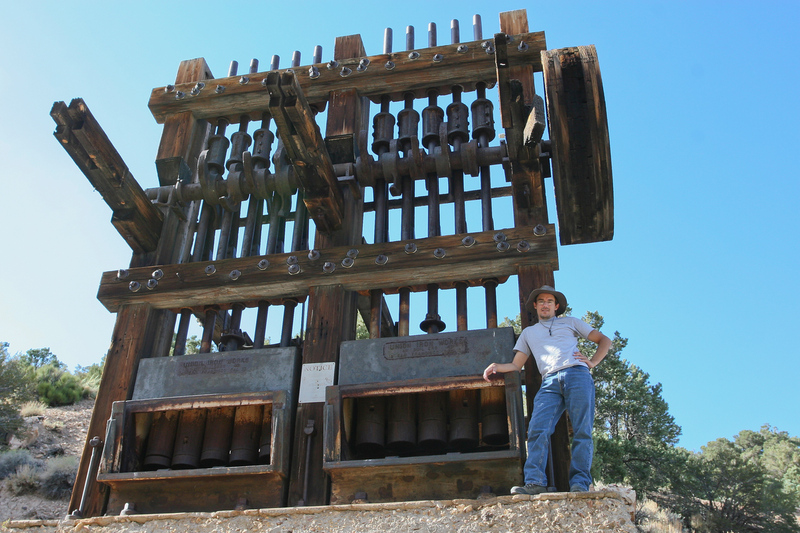 Myself at the stamp mill. 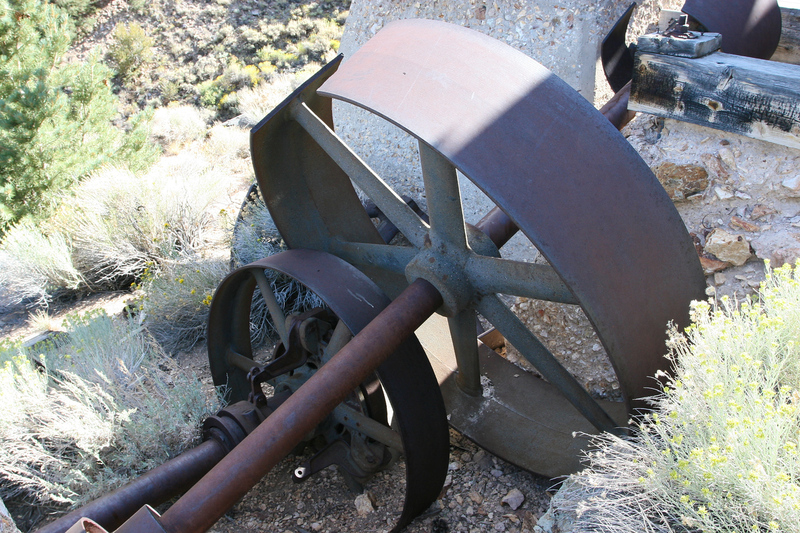 Drive wheels for the mill. 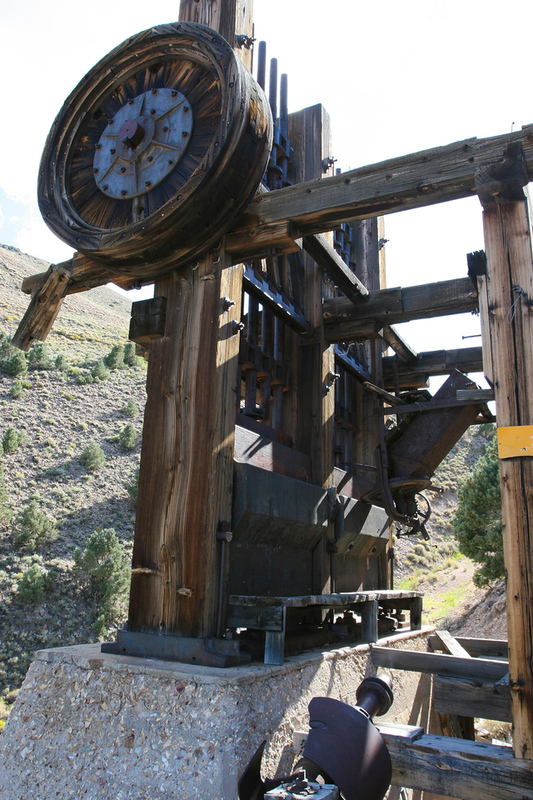 The wooden bull wheel still in good shape. 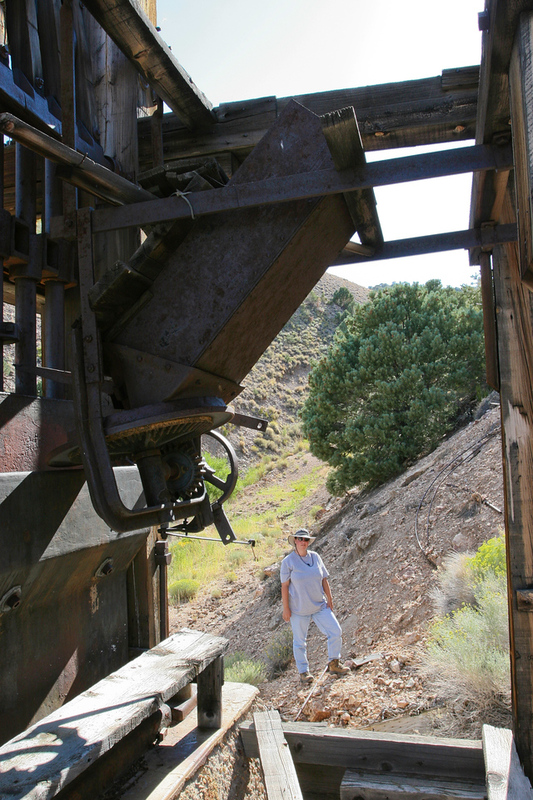 Alysia with ore feeder in the foreground. 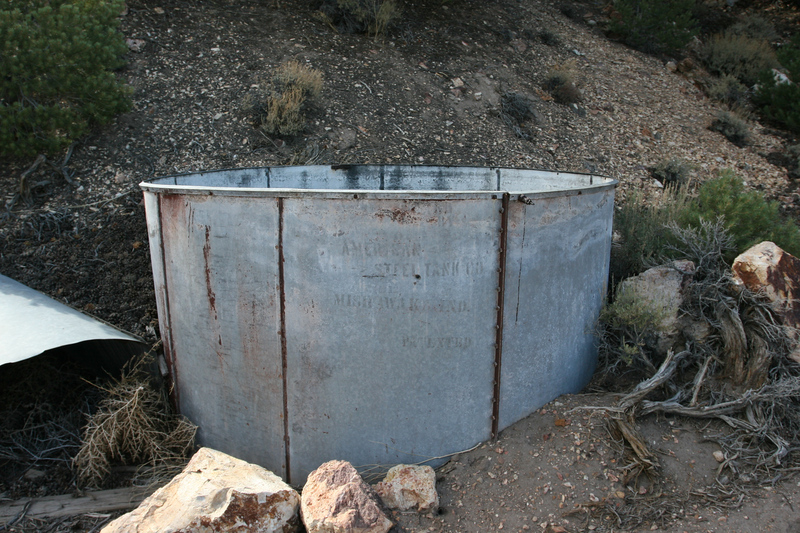 Backside of the stamp battery. The stamps are all up in 'maintenance' mode. 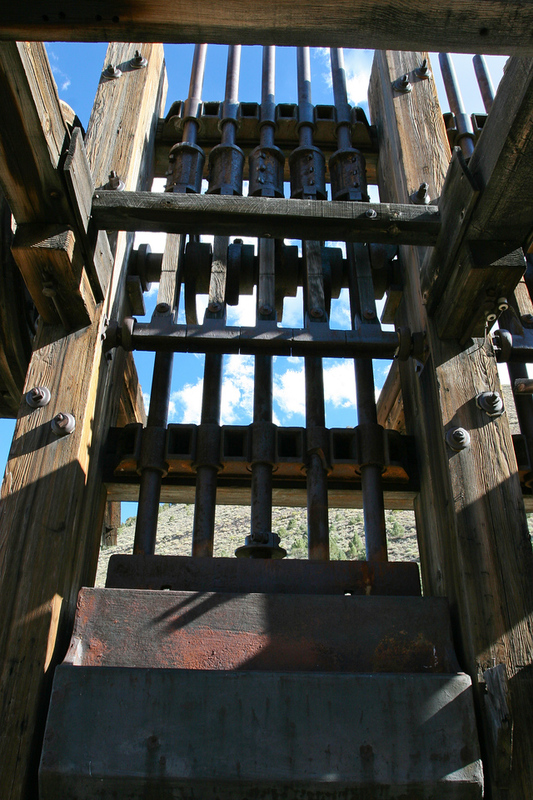 What's left of the stamp mill. Some machinery in the gulch below the stamp mill.